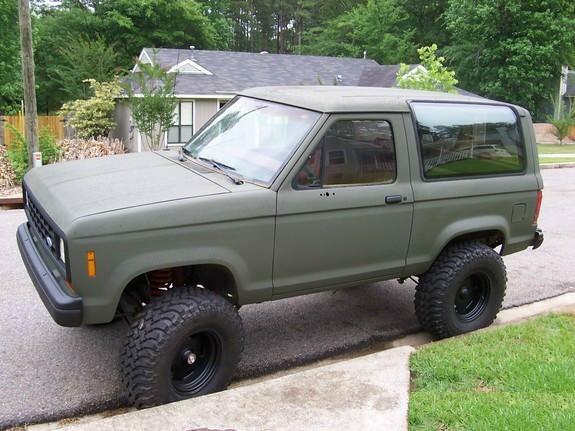 Some of our forum users have found that they can get a unique look for their offroad rig for a very low cost. This page is dedicated to cheap camouflage painting. 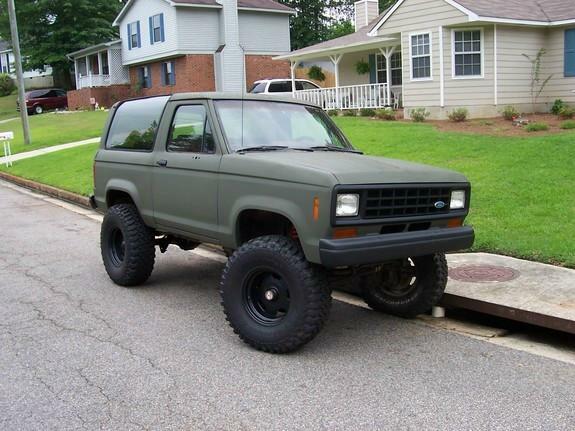 The Bronco II shown below is owned by forum user ‘buddy1977’. The truck used 12 cans of Krylon paint. “I started out sanding with 220 grit because the old paint had some bad places. I had to smooth off some uneven areas on the old paint. After that I sanded with 400 grit. Then I masked everything off and started painting. I used 12 cans of Krylon Camo OD Green spray paint. I still have some work left but for the most part this is how it will look. Oh as for the door jams. I did not paint them because the truck was black and black door jams with the green exterior looks fine. 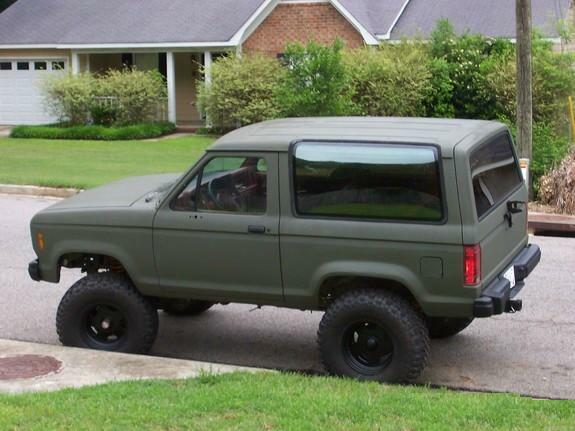 This is a rough estimate of what I have invested in this paint job. Day 1…removed all trim, pin stripes, and lights/grille. Started 220 grit. Day 2…removed sticky remains from trim and pin stripes with 3M Adhesive Remover, finished 220 grit, and then 500 grit wet sanded entire truck. That day I also painted the bed. Day 3…Taped all windows and whatnot, and finished painting. The finish on the bed is a little rough because of the slight wind we had that day. The rest of the truck is quite smooth. I am not too worried about the rough bed because it is OD green…see what i am saying. And plus it is a SLIGHT roughness. I have no pics up close. 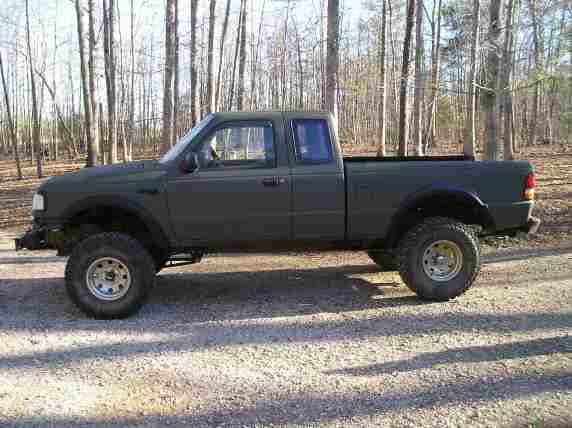 We used 3 cans of black for the flares grille and RANGER emblems. And 9.5 cans for the truck itself. I bought 12 though…better safe than sorry. Paint was about $3.00 a can.